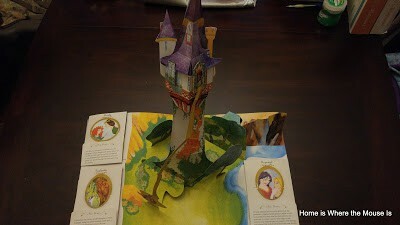 We were provided with a free copy of this pop-up book for review through Bloggy Moms and Insight Editions. All opinions shared are our own. As a kid, I loved pop-up books. There was nothing more magical than turning the pages and seeing beautiful 3-D scenes before my eyes. Page after page, a whole new world would open up, bringing the book to life. It made reading so much more fun. I was always so curious about how the book makers made those illustrations pop out from the book. As a mom, however, I tend to shy away from pop up books. One rough tug of the pull tab or turning the page too fast, and the magical world could collapse forever. I’ve seen simple board books with small pop-ups ripped apart. 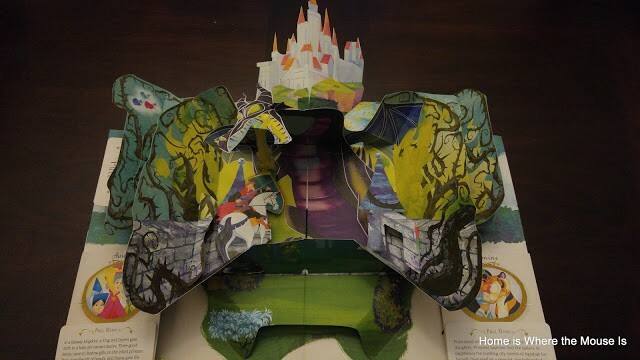 I was almost positive my kids would never be able to handle having a pop-up book with intricate pages like I had as a kid. One book changed all that. 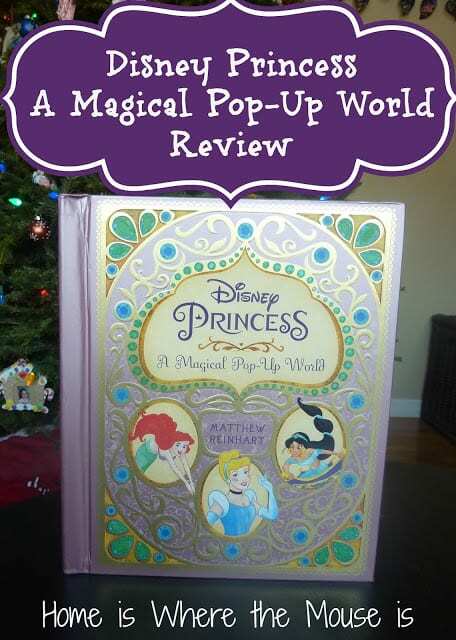 I was given the opportunity through Bloggy Moms to review a copy of Disney Princess: A Magical Pop-Up World, a new book by Matthew Reinhart. This book takes readers on a magical journey through the most beloved princess stories. Each page is brought to life with beautifully illustrated scenes and pop-ups. 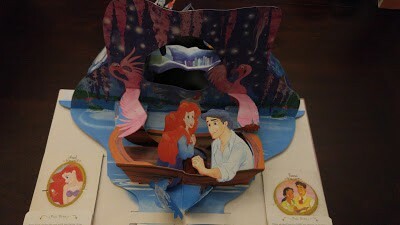 It is quite honestly the coolest pop-up book I have ever seen! At first glance, you don’t realize how many layers of magic there are on each page. It’s full of surprises. Not only does each page pop up to a colorful scene from your favorite princess story, there’s even more to enjoy. Some pages include a pull tab on the main pop-up illustration. By pulling this tab, the reader can change the main scene into another dazzling illustration. My favorite page that did this was the Sleeping Beauty page. 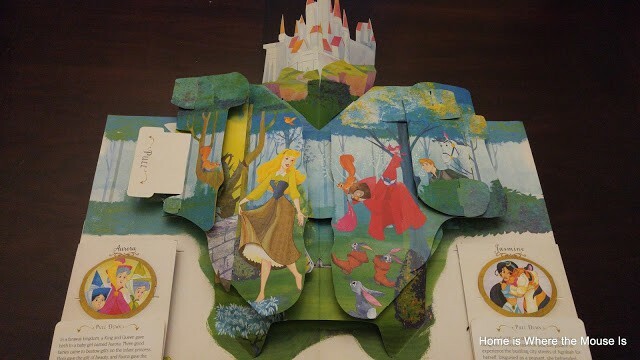 The page opens to the scene where Briar Rose (aka Sleeping Beauty) is skipping through forest singing “Once Upon a Dream” as Prince Phillip looks on. Pull the tab and the scene turns into the battle between a fire-breathing Maleficent and sword-wielding Prince Phillip. Another favorite is the Cinderella page. 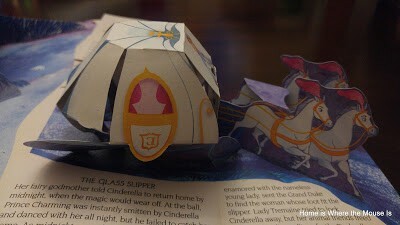 With one pull of the tab, Cinderella is transformed by the Fairy Godmother and is ready for the ball. Not only do the main pages pop-up, but there are two side panels that do also. These side panels tell the story of a princess. Pull down the tab to continue her story. But wait, there’s more. Open the panel to read even more and a new pop-up scene appears. This was a feature that I missed the first time through. While most of these only reveal a new scene, there’s one that goes a step further. 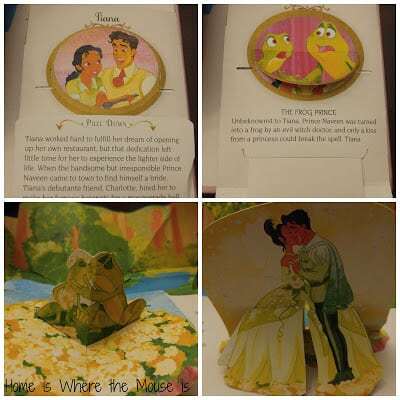 The Tiana panel opens to reveal the part when Frog Tiana and Naveen marry in the forest. Pull the tab and, just like in the movie, they are magically transformed back into their human state. Pretty cool, right! Each page is beautifully illustrated. Intricate details are included to make the reader feel like they have stepped into their favorite princess movie. The colors are bold and bright. It almost has a watercolor feel to it. Each of the side panels tell a succinct version of the princess’s tale. I almost wish there was more to the stories. It may have been better if each page was dedicated to just one princess, rather than having multiple stories on each page. My fear of pop-ups had to do with their ability to break easily. However, this book was designed with the child in mind. First, the book is encased in a hard front and back cover. It would take a lot to rip through it. Also, each page is created with thick cardstock. 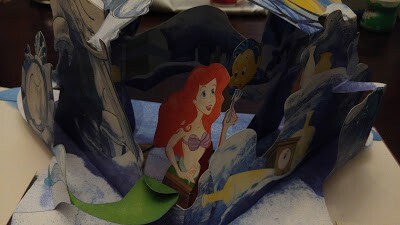 The pop-up features are not too thin and are able to take gentle manipulation by kids. However, I did tell my kids to be careful with the pages. Even though they seem durable, they could break with continual misuse. I loved this book! From the intricate details to the magical pop-up surprises, it’s a book both kids and adults will enjoy. I loved seeing the look on my kids’ faces as we turned each page and revealed another magical surprise. They were in awe! While I feel the organization of the stories could have been better, I still enjoyed each princess tale. I like how the stories were divulged layer by layer. It shows kids that stories have a beginning, middle and end. That appeals to the teacher in me. 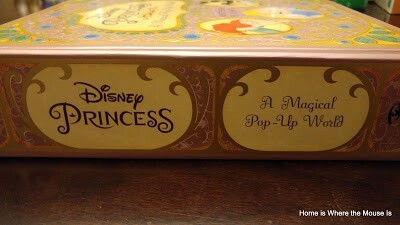 If you are looking for a holiday gift that your kids will love, then Disney Princess: A Magical Pop-Up World by Matthew Reinhart is the perfect choice. It’s a great book for families to enjoy together. 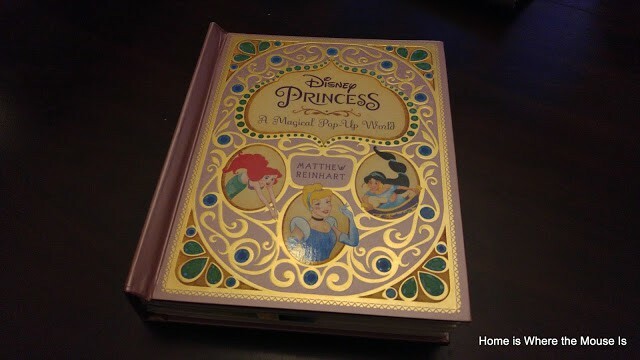 Disney Princess: A Magical Pop-Up World by Matthew Reinhart is published by Insight Editions. Find them online and on social media by following these links. While you’re there, you can check out the book trailer. 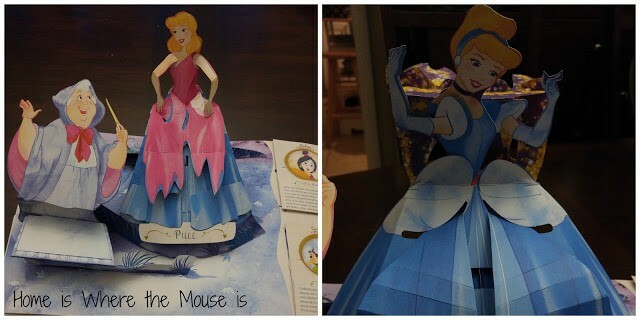 Disney Princess: A Magical Pop-Up World by Matthew Reinhart can be purchased at book stores, through the Insight Editions website or through the Amazon link below (affiliate link). We were provided with a free product for review through Bloggy Moms and Insight Editions. All opinions shared are our own. This article also contains affiliate links.